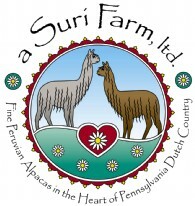 a Suri Farm, ltd. is a farm located in Myerstown, Pennsylvania owned by Dennis Balbac & Monica Kline. We were thrilled to be named Suri Reserve Small Breeder of the Year for 2009! Come and visit us to see why that honor was bestowed on our breeding program. 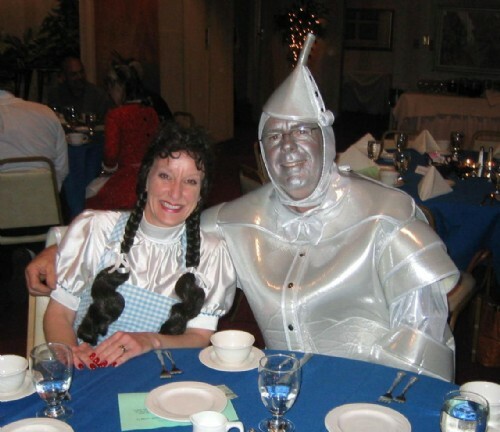 We were THRILLED to be named 2009 Suri Reserve Small Breeder of the Year! We are a family-run small farm in central Pennsylvania, thirty minutes east of Harrisburg and Hershey, where we know every alpaca in our herd by name. 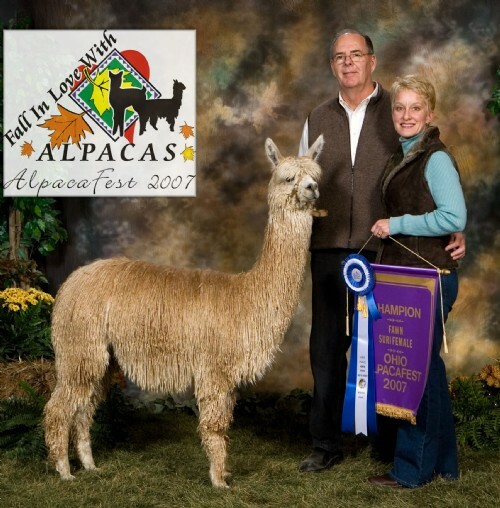 We have been involved in the alpaca industry through volunteer service ever since we founded our farm. We have been members of the ARI, AOBA, MAPACA and PAOBA from the start because we know that membership in these vital organizations is one of the keys to our success. We continue our membership and volunteer service to these groups. •	To introduce and educate the agricultural community to the importance of alpaca for breeding and fleece agribusiness. •	To improve the luster, color and quality of the fleece of the suri alpaca and to provide our customers with exceptional animals focusing on but not limited to the Peruvian Accoyo pedigree. Our farm finanacing - Monthly payments, quarterly payments, every third week ... what works for you? Just as we work with you to select the right alpaca for your breeding program, we'll work with you to put together a mutually beneficial financing plan.